When it's cold outside, do you eat more melted cheese? Come on, now, come clean with me. How could you not? It's gooey and hot and filling and, well, it just feels right when it's frigid. 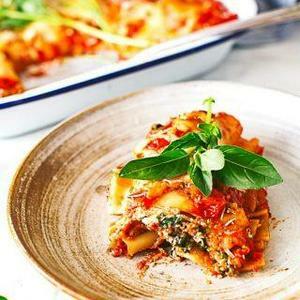 That's why the other night I made this spinach and zucchini lasagna recipe for meatless Monday. Join me, won't you?